Audioboom / Prescient Warning to Conservatives Before #NeverTrump, January 2015. @BerkowitzPeter @HooverInst. "...Another reason for conservatives to maintain their composure is that to combine and to reconcile the competing demands of liberty and tradition—the defining task of modern American conservatism—has never been more daunting. "Much as some fiscal conservatives would like to deny the connection, limited government cannot be separated from the character of its citizens. If individuals are not determined to make decisions for themselves and take responsibility for their lives; if they are not nurtured by family, rooted in community and sustained by faith or a firm sense of duty; and if they are not educated to grasp the principles of freedom and to appreciate freedom’s blessings—then they will not experience an increasingly activist and ever-expanding government as an affront and a danger. To the contrary, they will welcome it as a comfort and a consolation. "Still, conservatives face a bind. Their principles and a prudent assessment of the likely abuses preclude champions of limited government from entrusting the souls of citizens to the care of the state. At the same time, conservatives confront the need not merely to preserve but to restore. One of modern conservatism’s great achievements has been to recover an understanding of the moral principles, the virtues of mind and character, and the associations on which liberal democracy depends. But recovering and conserving are different tasks. For John Locke in the 17th century, Edmund Burke in the 18th, and Alexis de Tocqueville in the 19th, exploring the role of religion, family, civic association, and education in securing liberty was largely a matter of describing existing beliefs, practices, and institutions. While it would be a mistake to compress these seminal thinkers into contemporary notions of right and left, much of the political action on behalf of liberty they contemplated, and in some cases advocated, was intrinsically conservative. "Since Locke, Burke, and Tocqueville wrote, the institutions they identified as indispensable to the formation of free and equal citizens have been hemmed in and hollowed out. Thus, conservatives must go beyond conserving. The question at the heart of conservatism today is this: what reforms, consistent with limited government, are capable of restoring the institutions that cultivate the virtues on which liberty and democracy depend? In "Freedom and Friendship," in the winter issue of National Affairs, columnist James Poulos of The Daily Beast seeks to refine the conservative understanding of that question and to suggest a new focus for reform. 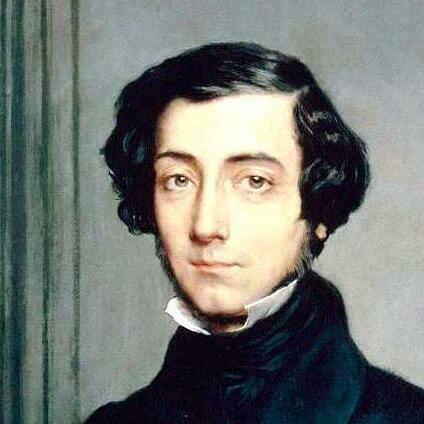 His point of departure is Tocqueville’s potent observation that “nothing is more fertile in marvels than the art of being free, but nothing is harder than freedom’s apprenticeship.” That apprenticeship, Poulos argues, has been rendered even more difficult by the tendency of both the state and the markets to erode freedom...."
Warning Franchisers of the NLRB, Winter 2015. @Richard@Epstein. @HooverInst.